Sony has unveiled the latest smartphone in their collection of great smartphones. 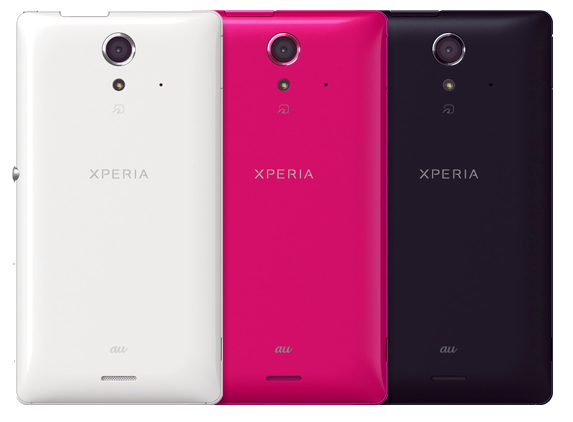 The carrier named KDDI has released Sony Xperia UL in the Japanese market. Sony has made this device pretty invulnerable to water and dusts like their Xpeia ZR and Xperia A. It’s both dust and water proof. Until 30 minutes, this phone can survive deep under the water at a distance of 1.5 meters. This device is 5.0 inches and this massive smartphone has the designs like the latest devices from Sony. It also carries the multi-color functionality capable LED light for notifications. Sony Xperia UL has great hardware specs underneath. The TFT display has the resolution of 1080 x 1920 pixels with the capability of displaying 443 pixels per inch. It sports the Bravia Engine 2 for making the images look crispier and sharper which was used in Sony’s Televisions. Xperia UL is engineered for sheer performance with 1.5 GHz Quad-Core processor from Snapdragon S4. It carries 2GB RAM and incorporates the Jelly Bean 4.1 with featuring Adreno 320 GPU unit. The performance of this smartphone’s camera is amazing since it’s been packed with a 13.1 megapixels primary camera. This camera equips Exmor RS sensor with the ability to take quality images. This device also has a 0.3 megapixels VGA camera as its secondary camera. Featuring 16GB of internal storage, it offers the capability of extending it up to 64GB through a micro SD card slot. Besides this, it also supports microSDHC/ microSDXC cards. Xperia UL also supports all the latest features like NFC, Bluetooth 4.0, 3G, Infrared, faster Wi-Fi connectivity and also 4G LTE. With only 145g weight, it packs a massive 2300mAh battery. This phone’s offering in 3 colors like White, Black and Pink. According to the service provider, it’ll be starting on May 25. Still we’ve not got any news on the international availability except for Japan. This smartphone was leaked a week earlier in a Chinese website with some pictures and running rumors about its existence. Now, we’ve finally seen the news of this smartphone from Sony which has all the latest features of a high-end smartphone.